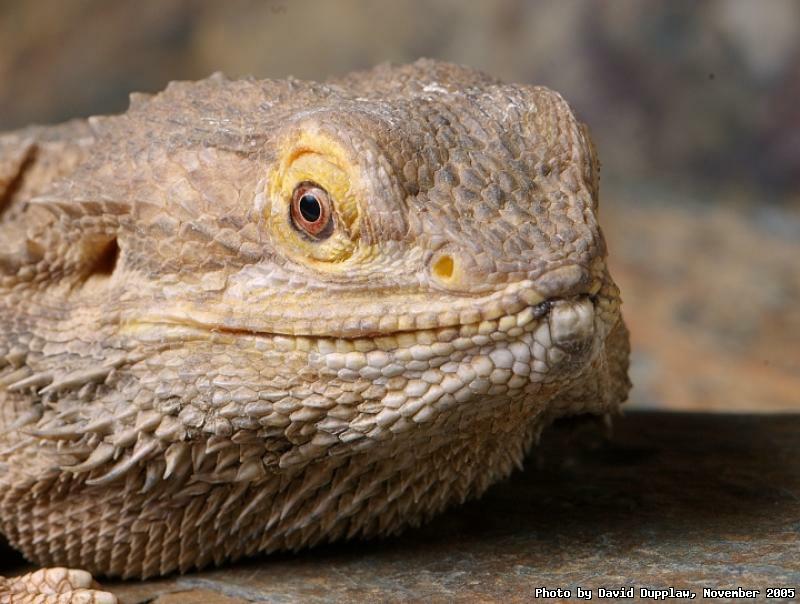 This is a lizard known as the Bearded Dragon (Pogona Vitticeps). They are incredibly good natured, cooperative and easy to handle. They were a perfect subject for the added value macro session at the Wild Arena photography workshop I went to at Marwell Zoo. This lizard was beginning to warm up under the modelling lights as I took to the stage and started moving around. Thankfully another was just at hand hidden in a box to keep cool and docile. The setup here was a single studio flash, softened by umbrella with a reflector off to the right. The platform and background were made out of lumps of stone. I was using a 105mm macro lens, lent to me by the organisers; although I am sure my reversed 50 would have done just as well!